A really good article from USA Today about hotel’s struggling to survive. 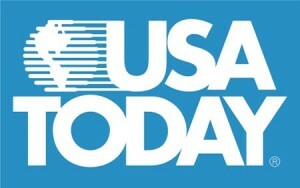 Check out the full article on USA Today’s website. The article features some high profile hotel closures such as the W Hotel in San Diego and the Ritz-Carlton in Las Vegas. The article also mentions how 76 California hotels have already fallen into foreclosure and that 330 out of the states 10,000 hotels have defaulted on their mortgage payments in the last year. As far as the cuts, the article really only mentions that Concierges are being replaced by lower cost employees and some hotels are changing their approach to food and beverage. Many hotels have closed restaurants and bars. Instead of having 2 or 3, many have closed all but one restaurant and one bar. Hotels have cut costs and gone green by eliminating newspapers and printed folios. Parking rates are on the rise. Many hotels have increased the parking fees for both self parking and valet parking. Breakfast buffets have really been changing. The prices have increased and the quality and selection of food has decreased. Overall staffing has really decreased. Many hotels have eliminated positions like bellmen or concierges. Also, we see longer lines at check in because the hotels have less GSAs with similar occupancy as in the past. What are you doing to survive? Please post in our comment section! Good article today in the LA Times titled ‘Hotel defaults, foreclosures rise in California’. The article says that more than 300 hotels in California were in foreclosure or default as of September 30th, 2009. In Southern California alone, there are 140 hotels in default or foreclosure. The main problem is that many hotel loans were expected to be repaid within 5 or 10 years and were financed at the peak of the market. The author also blames loose lending and irrational exuberance. Smith Travel Research is predicting no significant improvement for the hotel industry until 2011 at the earliest.